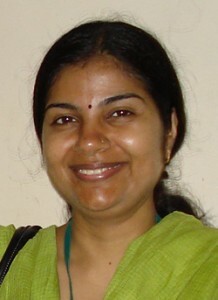 I am Dr. Pradnya Bhalerao. Born and brought up in Pune, I really never wanted to leave the city. I was fortunate enough to join the B.J. Medical College and Sassoon General Hospital, Pune, for both undergraduate and postgraduate work. After completion of my postgraduate work in Anesthesiology and a short stint in the intensive care unit at Ruby Hall Clinic, Pune, my fate took me back to the parent institute, where I joined as a faculty in the Department of Anesthesiology. I have several conference presentations on my subject to my credit. In addition, I have attended short workshops on the methodology of teaching in the field of medicine, including one conducted by the Maharashtra University of Health Sciences. The busy schedule leaves little time for hobbies. But I do try my hand at painting and designing. I completed my undergraduate work at Lokmanya Tilak Municipal (LTM) Medical College, Sion, Mumbai. I am registered for postgraduate work, i.e., M.D. (Microbiology), at Topiwala National Medical College, Mumbai, and am presently working as Associate Professor in the Department of Microbiology at Seth G.S. Medical College and King Edward Memorial Hospital, Mumbai. After registration for anM.D. (Microbiology) in Aug 1991 , I was posted at Kasturba Hosptital for infectious diseases as a resident pathologist for about a year and half. All the above centers are prominent teaching centers for various faculties and branches of the medical field, i.e., M.B.B.S., M.D., nursing, occupational and physiotherapy, dental medicine, diploma in laboratory medicine, etc. In all the above places, especially during postgraduate work, I felt a very disturbing sense of being cut off from direct patient care. Further, as I started getting involved in active teaching to undergraduate students along with carrying out routine and emergency microbiology lab work, I realized that there was a considerably disturbing lack of awareness in microbiological orientation among the vast majority of junior residents from clinical faculties and vice-versa. I did not have to go far to search for the reason and soon realized the pattern of educational grooming at the undergraduate level to be the most important factor. I currently have the job of being the “teacher in-charge” of the undergraduate M.B.B.S. students. I wish to do justice to the responsibility of this post and contribute more than a lot to the society and to the field of medicine by being instrumental in reconstructing the pattern of teaching, so as to generate doctors whose minds are well trained in tackling the threat caused by the microorganisms of various types whether known or unknown to mankind. 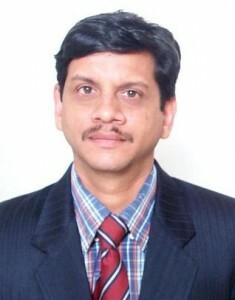 I am Hemant Shrikrishna Damle, currently Associate Professor at Bharati Vidyapeeth Medical College, Pune, in the Department of Obs/Gyn. Born and brought up in Pune, I did my undergraduate and postgraduate work at B.J. Medical College, Pune. Later I went to North Yemen for few years as a consultant with the Ministry of Health. After coming back I joined the medical college. As an adult young male of the current generation my interest is very obvious. I indulge in computers. I did some formal training in programming from Datapro. My other interests are Photography, video recording and editing, and Music ( I am old fashioned in music and look forward to meet the director who I know has splendid collection). I was honored with membership to the medical education technology (MET) cell of our college (because they thought I am above average in teaching but after this course I will definitely be). But what I really like to do is surgery, all sorts: minimal invasive , maximal invasive, minor, major, and without patting my own back I can say that I am above average in these skills. I have produced small booklets accompanied by a CD on topics like ultrasonography, instruments in Obs/Gyn, and Suturing Techniques. I also love to swim, exercise (this is essential if you enjoy all types of food and beverages), and keep myself fit. 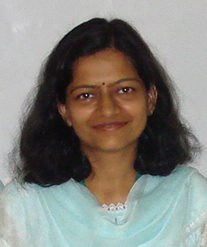 I, Dr. Shilpa Domkundwar am working as a lecturer in the department of radiology, Grant Medical College and Sir J.J. Group of Hospitals, Mumbai. But if I wait and ponder a little, this is just a small part of what I am. So what am I? An elegant eloquent self respecting lady with an analytical mind, compassionate heart, perseverant attitude, a straight-from-the-heart and slightly sharp vocabulary, and a no-nonsense approach to life. Lateral thinking, innovative approaches, and radically different outlooks to seemingly mundane, monotonous, decided events ,concepts of life, and norms of society are a basic instinctive trait of mine. Language thoughts and verbal expression flow out of me effortlessly, making me comfortable at communicative jobs. I have had a good academic career of firsts from KG to PG. A moderate stint with the private medicine practice for three years post M.D. gave me a revelation of my true love for institutional practice and tutoring, which led me to today’s position. I relish reading poetry and literature (Marathi and English), philosophical writings, and self help books. Spiritual activities like pranayam and meditation form a steady life pattern of mine which help me grow mentally, emotionally, and spiritually. I am an amateur at art forms, but pencil sketches and painting act as good stress busters and sources of simple happiness for me. They have even gained me many prizes when I have spared sufficient time for these activities. 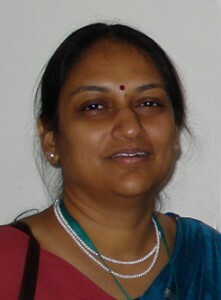 I am Sarmishtha Ghosh, currently working as Associate Professor in Physiology at the Pramukhswami Medical College, Anand, Gujarat. Born and brought up in Calcutta, I did my Masters and Ph.D. in Physiology from the University of Calcutta, presently called Kolkata. After submitting my Ph.D. thesis I took up a job as a lecturer at the Manipal College of Medical Sciences (MCOMS) at Pokhara, Nepal. At MCOMS, I was exposed to modern trends of medical education and the curriculum we followed there was that of the integrated problem based student centered type. I introduced hybrid PBL there and also attended a conference in Karachi in 1999. After working there for about five years I felt the need of relocating myself to India for purely personal reasons. Thus I am here at Karamsad. I am a member of the Medical Education Unit, Research Council, and Student Counseling Committee of my Institution. My additional duties include acting as Prof I/C of Central Library. I like to introduce innovative strategies for better understanding of Physiology by the medical students as well as for their assessment. I am also a reviewer for Advances in Physiology Education and Medical Education online. So much so, for my curricular activities. As for my other interests, I am fond of reading just anything starting from comics to serious novels. I occasionally watch movies on television. One thing which I wish I would have been able to do is singing. God perhaps did not plan that way, however I love to listen to songs particularly those by Tagore. Born and brought up, and taught up (Gajra Raja Medical College) in Gwalior, a small historic city of Madhya Pradesh, I, Anupama, always wished to be a pilot but ended up as a professor of pathology in Sevagram, an equally historic and even smaller village of Maharashtra. 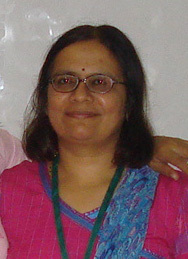 Today, apart from professing pathology and trying to be a good cytologist, I am in charge of undergraduate teaching in my department, co-coordinator of the medical education technology (MET) unit of my institute (Mahatma Gandhi Institute of Medical Sciences), and a resource person in the MET cell of my university (Maharashtra University of Health Sciences, Nashik). Away from my institute, I am co-editor of Strikaal a quarterly Hindi magazine on women’s issues, published in Wardha. As an introverted person, it takes lots of efforts for me to be communicative at all times. I want to develop my communication skills always, also through this program. I often wonder why more communicative teachers are not coming forward and using this boon to usher the much required breeze of positive changes in medical education? Medical education is lagging behind most of today’s education systems. For example, it is almost a rule to arrange educational tours for students in all other professional courses, but how come our system didn’t ever think of it? Or when management and technology institutes are incorporating stress therapy, like meditation, in their curriculum, how come the most stressed student of all, i.e., the medical student, is still managing with amphetamines? Other than planning for changes in medical education, I am a lover of literature, music, and nature, recently working on my wish to be a successful small farmer in this suicide-prone region of Vidarbha. Wish me all the best. Hi, I am Bachi. 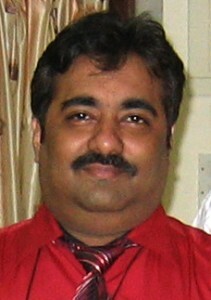 I am working as Professor and Head of the Department of ENT at the Topiwala National Medical College and B.Y.L. Nair Charitable Hospital, Mumbai. I have been here since 1989 when I joined as a resident in ENT after completing my M.B.B.S. from Grant Medical College and the Sir J.J. Group of Hospitals, Mumbai. As you can guess Nair is home to me and I am proud to be associated with the Nair family. I am interested in otology and endoscopic sinus surgery. I am also keenly interested in academics and have authored two books: a standard ENT text book (ENT Simplified), and an international reference book (The Atlas of Surgery of the Facial Nerve). I have also made several teaching surgical CDs for undergraduates and consultants. In my spare time I enjoy playing with my kids, music, cooking, seeing movies (only happy ones), and traveling. I enjoy making friends and keeping them for life. 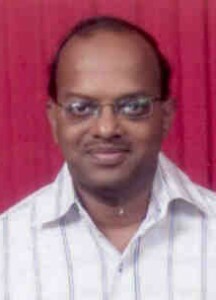 I am Dr. Praveen B. Iyer, working as a lecturer in anatomy, Seth G.S. Medical College and King Edward Memorial Hospital, Parel, Mumbai. I passed my M.B.B.S. from Grant Medical College and Sir J.J. Group of Hospitals, Mumbai. I completed my M.D. (Anatomy) from Seth G.S. Medical College. Prior to postgraduation, I worked as a medical officer at a rural hospital in the Thane district, Maharashtra. I have participated in certificate courses on medical education technology (MET) organized by the Medical Education Unit (MEU) of Seth G.S. Medical College in 2004 and by the Maharashtra University of Health Sciences MEU in 2007. In our department, I am involved in structuring the teaching programme (including evaluation) and implementing it. Academics apart, I like watching sports and comedy movies. I enjoy listening to Hindi film music. I also like to play the mouth organ. 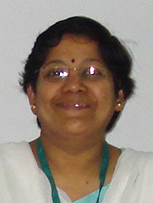 I am Vandana Jain, presently working as Assistant Professor of Pediatrics at All India Institute of Medical Sciences (AIIMS), New Delhi. I have a special interest in endocrinological disorders in children and I am in charge of the pediatric endocrinology division of the department. I am an adjunct faculty to the Center for Medical Education and Technology at AIIMS. I am in charge of undergraduate 4th and 5th semester pediatric teaching and postgraduate academic program of the department. I was born and completed my schooling at Hardwar, the holy city at the bank of the Ganga where my father worked with the Bharat Heavy Electricals Limited. I have been in Delhi now for almost 15 years. I did my M.B.B.S. as well as M.D. from the Maulana Azad Medical College and then joined AIIMS first as senior resident and then as faculty. My husband is a radiologist and I have two lovely daughters. After taking care of my professional duties and those as a mother, I don’t have much spare time left. However, I like reading fiction and watching movies. Hi! 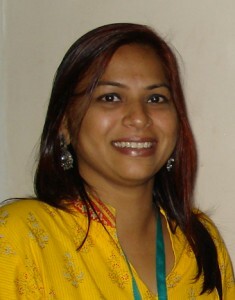 I’m Dr. (Mrs.) Sunanda Nitish Kirtikar. Born and brought up in “Aamchi Mumbai,” I completed my undergraduate training at Jawaharlal Nehru Medical College, Sawangi (Meghe), Wardha, and my postgraduation in Human Physiology at the Seth G. S. Medical College, Mumbai, thereafter. I’ve been working as a lecturer at Department of Physiology, Seth G.S. Medical College ever since. Soon after my postgraduation I attended an annual training course in endocrinological techniques and their application at the National Institute of Nutrition, Hyderabad. I was inducted in the Medical Education Technology by our then departmental head, Dr. Sunita Joglekar, under whose tutelage I attended the MET workshops at Seth G.S. Medical College. Apart from teaching physiology, I am also interested in music, fabric painting, and Marathi literature. I’m an avid reader. I also like to travel. 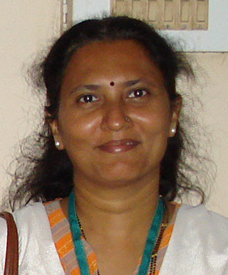 I am Dr. (Mrs.) Vrinda Kiran Kulkarni, currently Associate Professor and Head of unit at Topiwala National Medical College (TNMC), Mumbai, in the department of General Medicine. I am a pure “Mumbaikar.” I did my undergraduate and postgraduate work at Lokmanya Tilak Municipal Medical College, Sion. Later I joined in full time teaching as a lecturer at TNMC. I have been working in the specialty OPD of Hypertension and Geriatrics. I am interested in teaching. I am working as a project coordinator for METT cell of our college. We organize workshops for basic courses in medical education and teaching technology. I have completed the National Teachers’ Training Course (NTTC) at Jawaharlal Institute of Postgraduate Medical Education and Research (JIPMER), Pondicherry. My other interests are traveling and cooking. I love listening to music and attending musical programmes. I am learning Indian Classical music. I do some “Riyaz” as and when I find time out of my busy schedule. I enjoy solving SuDoKu puzzles. Hello everybody there and congratulations for being in here within this group. Congratulations also once again on being able to write about yourself so very well. It’s been nice reading and knowing about you all and has given me the courage to form my bio-note. 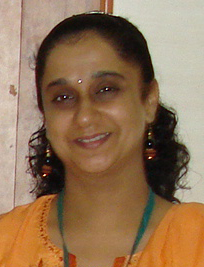 I belong to Pune, having graduated and subsequently specialized in dermatology from B.J. Medical College. Pune, called our own “Oxford” of the east, has its charm in allowing a royal and splendid life with its slow pace, and I long to be there. However, in contrast is the extremely fast-paced life in Mumbai, where I joined my present institute, Grant Medical College. The early years at this place and Sir J.J. Hospital, in collaboration with the AIDS research organization of the government of Maharashtra (ARCON), gave me a whole new clinical experience of HIV and AIDS. I moved to the USA for a short stint of six months with the intention of making it there, but was late in life by then and my home and family sickness attracted me back to my present job. My little time spent with the various academic institutions in the USA put my perspective strongly into pursuing an academic career for life, so I have been here for last 13 years. As you would agree, in spite of some poor policing by administrators toward medical education that has let down the system, the hard facts remain that it is the best profession one could ever ask for and get to go on for feeding your mind and serving mankind. I am sure by this time you have understood me as a follower of Gandhiji’s principles and ideals! Yes, I am strongly influenced by him the Mahatma! I like to be with my students and colleagues teaching and serving the needy patients, discussing new things in clinical medicine, especially in our allied fields, and a bit of music and traveling while not at work. I was really in a fix when I got the message about giving a bionote. What the…! What should one tell about oneself without sounding too offensive? But the persistence of the staff to get the “inside” information has really paid off and here I am sharing with you some very personal details. My parents have named me Neena and now I am known as Dr. Neena Sawant. I call myself born and brought up in the Lokmanya Tilak Municipal Medical College at Sion. I did my undergraduate and postgraduate training in psychiatry with some of the best teachers. I was fortunate enough to have an extended stay as a lecturer in the same department till it was my bidaii to King Edward Memorial (KEM) Hospital as an Associate Professor. It was a typical emotional affair with me having various thoughts about my new “sasural.” However, today looking back, I can say that as in every saas-bahu story, I have adjusted to my new environment without any hard feelings. KEM was like a joint family. I was introduced to various things and given added administrative responsibilities. I was given a chance to spread my wings and fly. I feel I have touched the sky and grasped a few stars. I am thankful to all those who gave me this opportunity. As my areas of special interest were child and neuropsychiatry I did participate in various research projects and have won some accolades. I also wrote a book for the general public on childhood emotional and behavioral problems called “eka talyat hoti” which has gotten good reviews. I also got a chance to do a Postgraduate Diploma in Hospital and Health Care Management (PGDHHM) and a Postgraduate Diploma in Medico Legal Systems (PGDMLS) from Symbiosis. I have enrolled for being a good teacher in the FAIMER training programme and am also doing a diploma in Urdu language. On my personal front, I am married with two children and I continuously strive to maintain a medico-legal balance with my advocate husband at home. It is tough to put things about ourselves on paper or mail. Nevertheless let me introduce myself. I am Dr. Vinaya B. Shah, presently in Topiwala National Medical College (TNMC), Mumbai, and Associate Professor in Pathology. I am basically a Mumbaite as I grew up here, and also a Nairite as I studied medicine at TNMC and B.Y.L. Nair Charitable Hospital till I completed my M.D. in Pathology. As a faculty member at TNMC, I have also qualified for a Diploma in Hospital Administration from the Tata Institute of Social Sciences. I am a Fellow of the College of Physicians and Surgeons (FCPS) and take yearly lectures for DPB and FCPS candidates. I have been a faculty member for dental teaching of II BDS students in the subject of Pathology for more than 5 years at Nair Dental Hospital, Mumbai. I have been a member of the Medical Education Department at TNMC and B.Y.L. Nair Charitable Hospital for more than three years. As regards my other interests, I love to read. 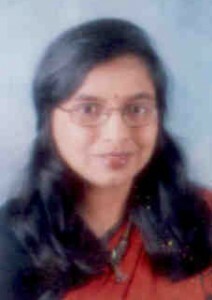 I am Smita Singh, working as Professor of Ophthalmology at Mahatma Gandhi Institute of Medical Sciences (MGIMS), Sevagram, Wardha, which was the first rural medical college in India. I graduated from Lady Hardinge Medical College in Delhi and studied ophthalmology at Safdarjung Hospital in Delhi. After postgraduation, I joined as Lecturer at MGIMS, Sevagram, and have worked since 1994 in this institute of repute, which has its main goal serving the rural population. I am actively involved in the Students’ Council and am Officer in charge of the Literary Society. Besides routine clinical work, I also look after the faculty Staff Club and arrange for regular interactions/dinners for the faculty. I am very fond of reading, solving SuDoku puzzles, photography, and interacting with children of all ages. 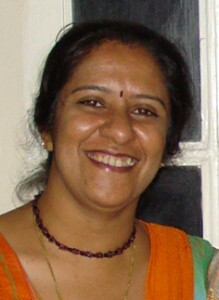 I am Dr. Vishalakshi Vishwanath, a name too long and often mispronounced by many; hence I am known as Dr. Visha to most. I have completed my entire undergraduate and postgraduate medical training from Lokmanya Tilak Municipal Medical College and General Hospital, Sion, and Mumbai. 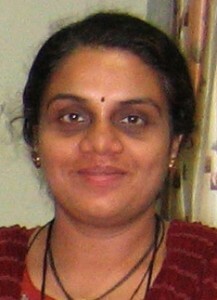 Currently, I am working as an Associate Professor in Dermatology at Rajiv Gandhi Medical College, Thane. I have been a Thaneite for the past 15 years and just love the city; although it is developing too fast and slowly losing its natural beauty. I love teaching and academics; my core interests are clinical dermatology and HIV medicine. 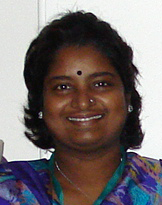 I am also an Assistant Editor in our journal, the Indian Journal of Dermatology, Venereology and Leprology (IJDVL). My other interests include reading, traveling, photography, interior décor…and just lazing around and listening to music.